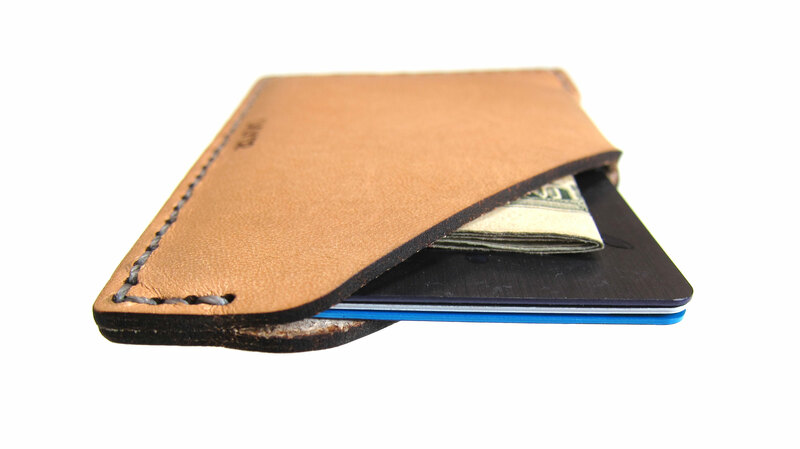 Our wallet is a minimal, one-pocket leather sleeve that holds up to 6 cards securely. 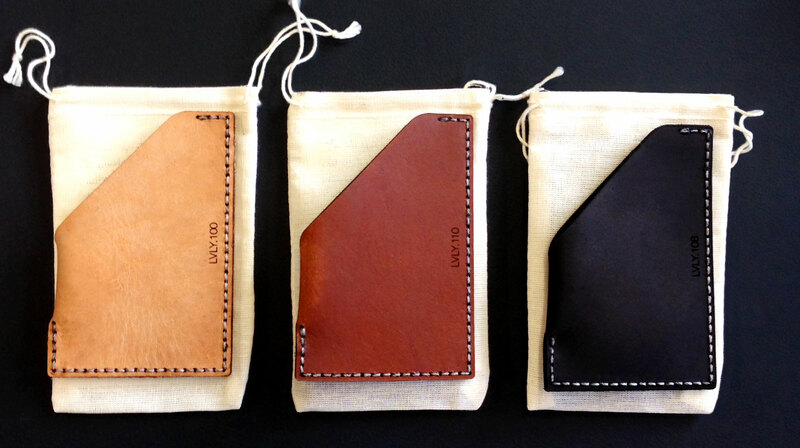 It’s lasercut, numbered, and hand-sewn. 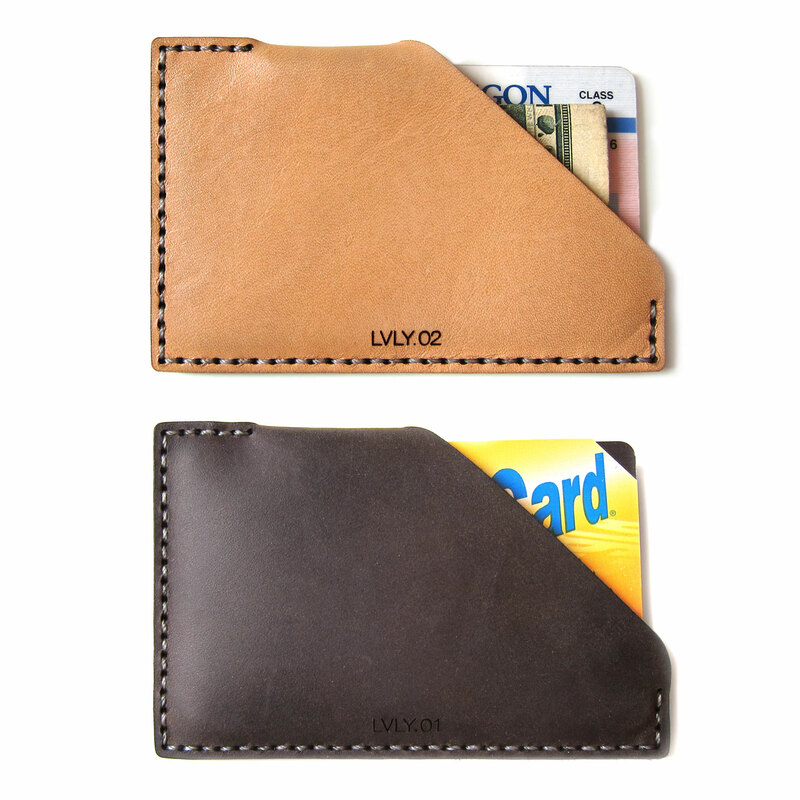 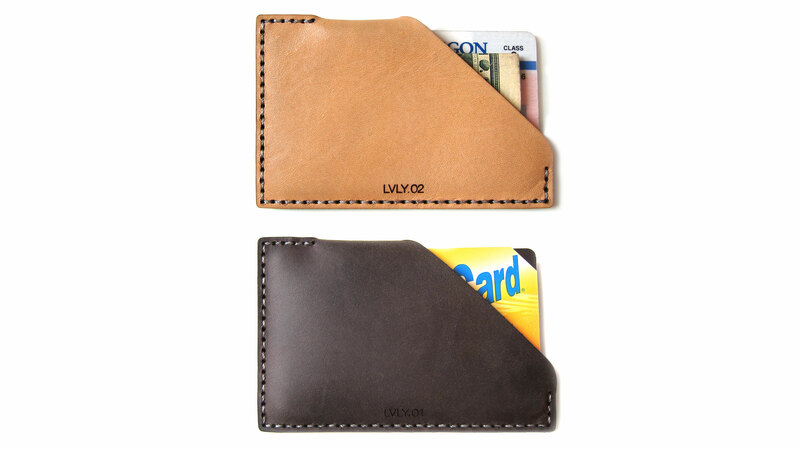 The LVLY wallet is available in light, medium, and dark brown.